Neuromersiv was chosen for the Startup Global Talents @ Taipei program run by the Taipei government. As one of 20 globally hand-picked startups, Neuromersiv was invited by the Taipei government to be a part of a two week delegation to Taipei and included high profile networking events with potential partners and investors as well as a booth at Asia’s leading tech expo, Innovex. 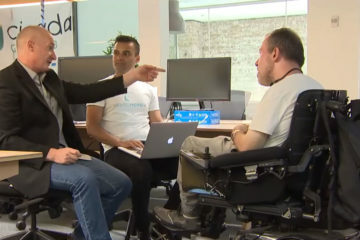 Chief Operating Officer, Oliver Morton-Evans and Head of Product, Rohan O'Reilly were interviewed by SBS news.